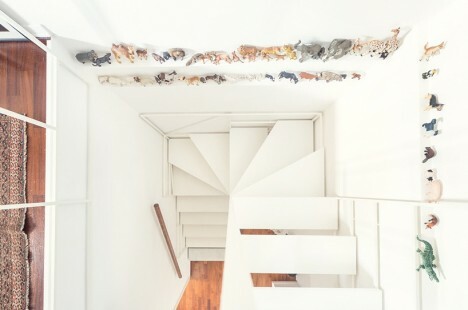 Going far beyond their practical function of connecting one level of an interior to the next, these modern staircase designs make a striking statement, often doubling as a sculptural element or offering some other additional purpose. 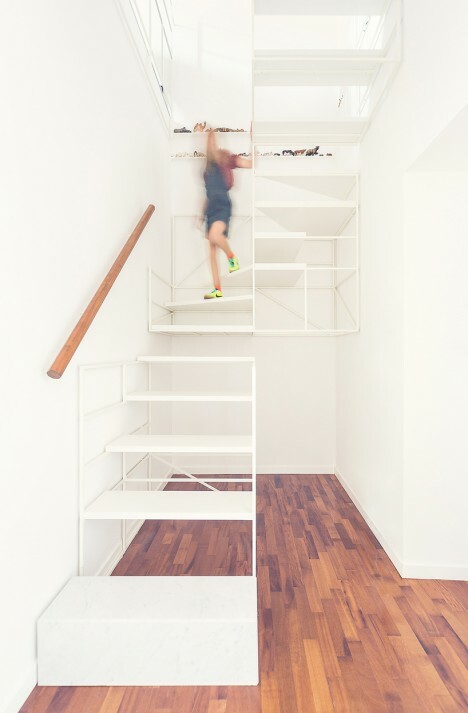 Some act as amphitheater seats, some have built-in gardens and some simply steal the spotlight no matter what else is in the room. 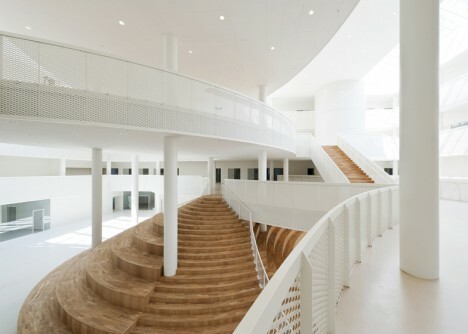 Inspired by the ‘circles and ovals’ that make up Disney characters like Mickey Mouse, this amphitheater-style staircase stands as the heat of an adult learning center in Denmark by architecture studio CEBRA. 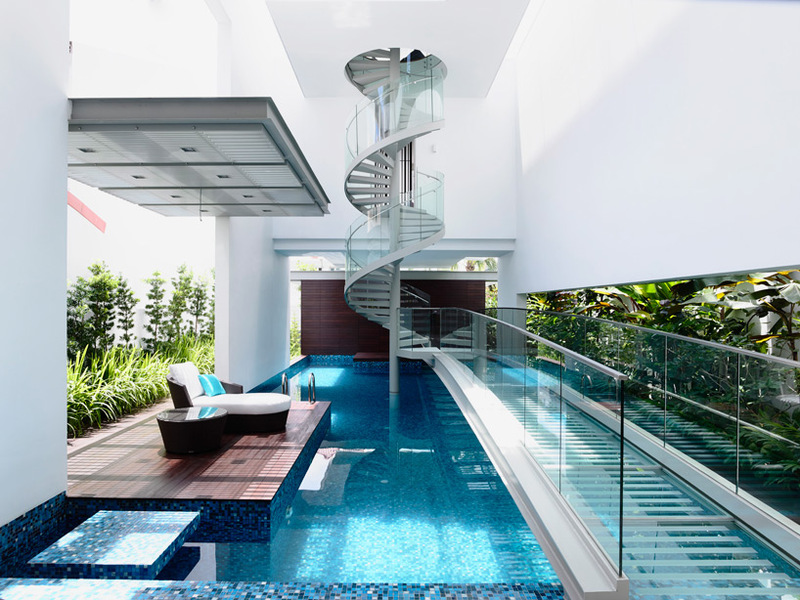 The lines of the multi-functional staircase echo those of the curving white balconies that jut out into the atrium at every level. 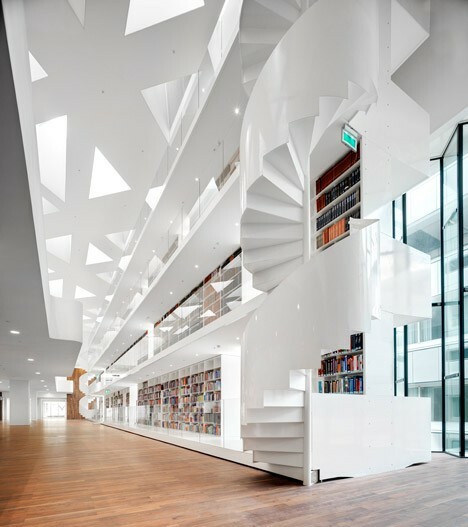 Soaring 115 feet toward the elevated ceiling, this glossy white building-within-a-building adds a library to a modern medical research center at a Rotterdam hospital. 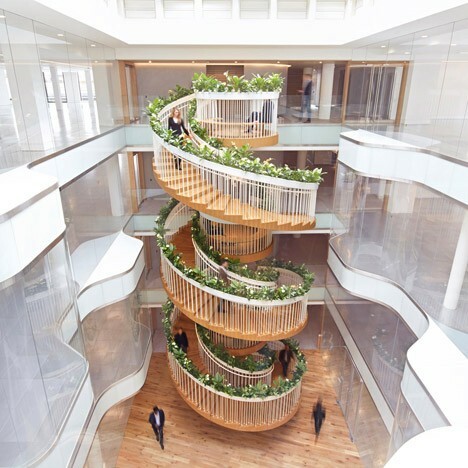 It basically functions like one very big bookcase within the large open space, featuring spiraling staircases on either end. 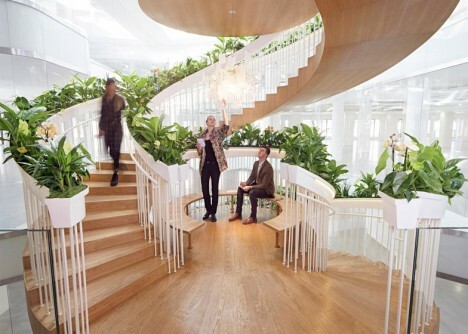 A garden, tea bar and library can be found within a stunning four-story spiraling staircase by designer Paul Cocksedge at the Ampersand office building for creative technology businesses in London. 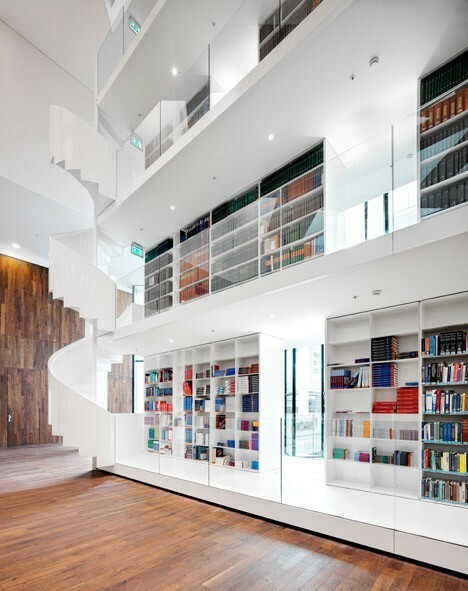 Designed to encourage interaction between workers, it features a different function at every level, including a small curated selection of books on the first floor. Pick your own mint from the garden boxes along the railing to make tea at a hot water machine once you’ve reached the top. 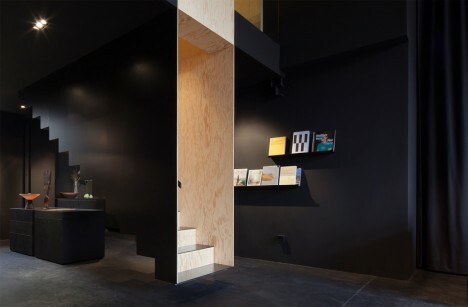 The warm wood lining the interior of this floating staircase by Hidden Fortress makes it glow against the black surfaces of a Berlin concept store, giving it the feel of an optical illusion. 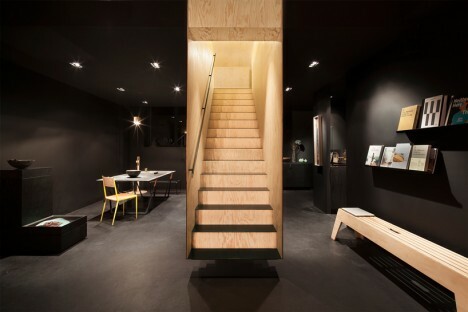 The maritime pine used throughout the store is left in its natural state upstairs, so the staircase serves as a visual connection to the next level as well as a literal one.